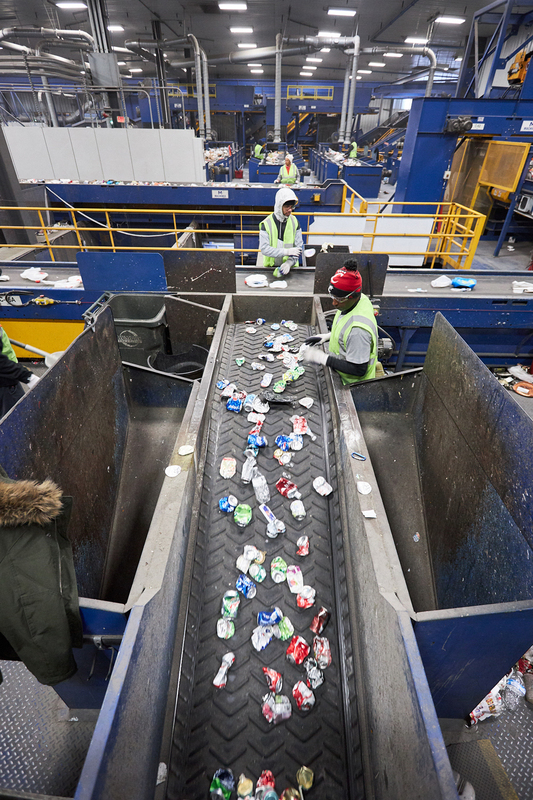 We’re all probably guilty of “wish-cycling”—crossing your fingers and recycling something you’re not sure about. That’s why Rumpke offers public tours of its St. Bernard plant, which processes material from Greater Cincinnati, Dayton, southern Ohio, and Louisville at a breakneck rate of 55 tons per hour. 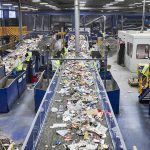 Get a good look at just what you can recycle and how Rumpke sorts it all out: There are optical scanners to identify numbers 1 and 2 plastic (e.g., most bottles and jugs), paper, and cartons. There are magnets to attract steel, and rare earth magnets to repel aluminum using reverse polarity. There are tumblers and fans and feeders aplenty, all designed to push, pull, and otherwise move the material to where it needs to be. 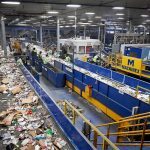 Everything gets routed onto different belts careening up, down, and around a factory floor the size of an airplane hangar where dozens of actual humans hand-sort along the way. Then it’s packed up and shipped to manufacturers that make everything from composite decking to fleece jackets. 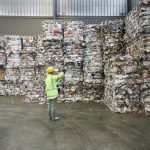 It’s bracing and frightening to witness the amount of waste this region produces—but also encouraging to see the ingenuity that goes into managing it.